Efficient tax plans and sound tax advice are the need of the hour for most of the companies in the UK. Business start-ups and the entrepreneurs depend highly upon them to build a strong foundation for themselves in the market. DNS Accountants completely understands the accounting and financial needs of the companies and helps them in planning their taxes and also in giving them guidance for maintaining their accounts properly. By providing highly efficient contractor accountants in York, DNS has been extending its financial services to nearly more than 1200 companies till date. Right from our beginning in the year 2005, we have worked along with several diversified corporations and start-ups. This experience has helped us gain a place in the market and also broaden our expertise. We have also been serving start-ups and small businesses in nearby regions including York, Wimbledon, Wirral, Woking, Surrey, Norwich and Coventry. DNS is proud it's proficient team members who work towards creating a better financial environment for the companies and the businesses. All the individuals who work on the team are certified by the highest accounting bodies that include CIMA, IPSE, and ACCA. Apart from this, all our working professionals have degrees to back their experience, from highly reputed institutions in the country. Having such qualified people working for us has helped us gain a strong reputation among the companies. Helping the clients save money, run the business smoothly and manage their finances effectively is our main motto at DNS Accountants. A company’s credibility depends on upon accurate tax plans and its worth in the market. DNS makes sure that its small business accountants are living up to our philosophy by helping out the companies. With our highly expert team members, we have been able to work along with numerous clients belonging to various sectors in the market. Our timely help and guidance have helped our client company safe from any kind of issues that might arise due to the late filing of tax returns. A walled city in North Yorkshire in England, York is full of rich heritage and holds several places of attractions. York has been the backdrop for most of the major political events that took place in England in the last two millennia. Right from the 19th century, York has been developing as the confectionery manufacturing center as well as the hub of the railway network. York has grown up to become the major wool trading center. Today, though the rail system and the confectionery units are functioning, York has moved to the services sector companies. Nearly 90% of the employment in York comes from public sector enterprises that provide various services. It has to be noted that York is gradually making strides in the areas of science and technology. The public sector industries like health, education, and finance and information technology have been helping the economy to grow rapidly. 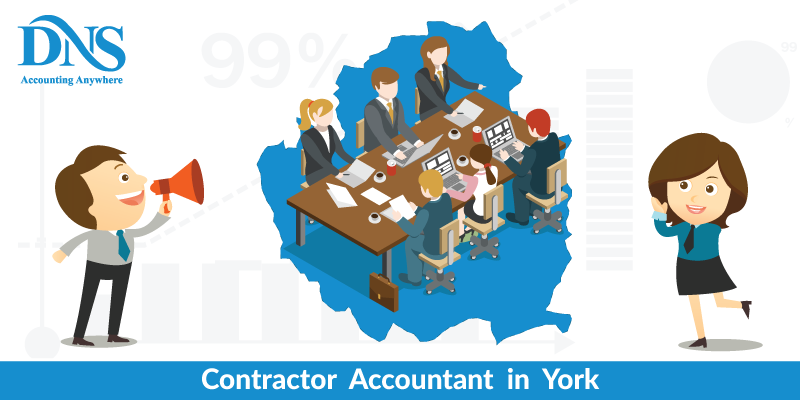 Such dramatic increase in the business potential in the region has led to great demand for skilled contractor accountants in York. What DNS Accountants helps with? DNS Accountants’ very own chartered accountants in York have been helping out the start-ups and small companies with their corporate tax planning, planning the account improvement and also the management of funds. By working along with the enterprise management, we have been able to provide the right guidance and help to the businesses. Right from preparing the detailed report for the taxes and filing the tax returns, DNS Accountants makes sure to cover all the bases when it comes to financial matters. Our professionals follow a detailed and skillful approach to their work. Dedication and enthusiasm that they have towards their work have made us to one of the top 10 contractor accountants. We also extend our service to the start-ups and small businesses by providing secretarial services and being their trusted advisors. Every company in York requires a proper tax plan and an efficient reporting system that would help in showing the business’s profit. DNS Accountants help you to plan everything ahead of time so that no hassle is encountered at the last moment. By providing the right guidance, we make sure to provide the proper leverage for our clients. DNS believes that by creating a balance between the tax plans of the individuals in the company and the whole company would help to build a proper financial system for the enterprise. Our best IT contractor accountants handle complex matters such as mergers, acquisitions, disposals and raising finances with relative ease. All personnel on our team have worked with various start-ups, small scale companies and the entrepreneurs and as such have complete expertise in handling issues plaguing these setups. Every employer and employee are entitled to a pension amount that they receive after their retirement. DNS helps the companies to register with the Qualifying Workplace Pension Scheme. This system requires the company to contribute to the pension of the employees. By ensuring a proper payroll system and keeping the pension calculations correct, auto-enrolment makes sure that the corporation complies with the government policies regarding the pensions and avoid any potential issues. DNS Accountants is here to provide help and guidance all start-ups, small businesses and established companies that need our assistance with financial matters and accounts keeping. By providing an efficient financial consultancy service, DNS has been able to provide valuable financial advice to the clients. When you compare contractor accountants in all of York, you can easily see that we are best at what we do and do so at the lowest prices. Not only in York, but we also extend our services to other cities including Poppleton, Strensall, Bishopthorpe, Copmanthorpe, and Haxby. Our contractor accountant fee is very competitive when compared to the other consultants in the market. Avail our services today by getting in touch with us and get rid of all your accounting and financial worries. DNS Accountants is here to provide help and guidance all start-ups, small businesses and established companies that need our assistance with financial matters and accounts keeping. By providing an efficient financial consultancy service, DNS has been able to provide valuable financial advice to the clients. 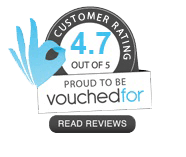 When you compare contractor accountants in all of York, you can easily see that we are best at what we do and do so at the lowest prices. Not only in York, but we also extend our services to other cities including Poppleton, Strensall, Bishopthorpe, Copmanthorpe, and Haxby. Our contractor accountant fee is very competitive when compared to the other consultants in the market. Avail our services today by getting in touch with us and get rid of all your accounting and financial worries.